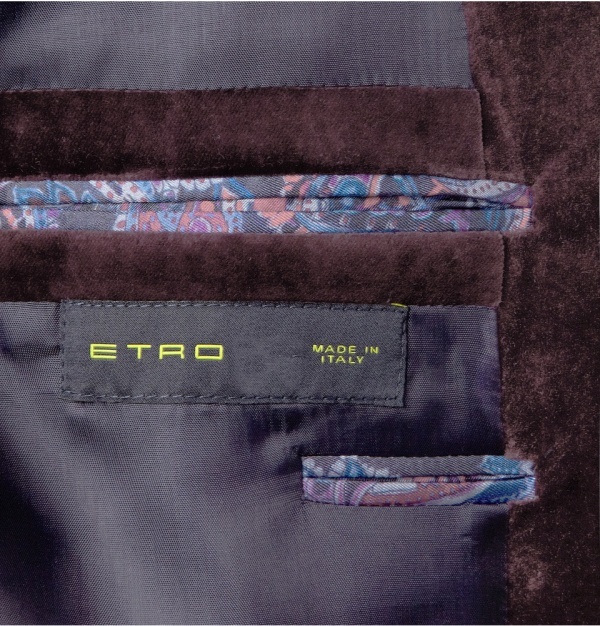 It wouldn’t be Etro without a flash of paisley, and this velvet suit jacket features the print on its collar and pockets for a pleasing contrast of pattern and texture. 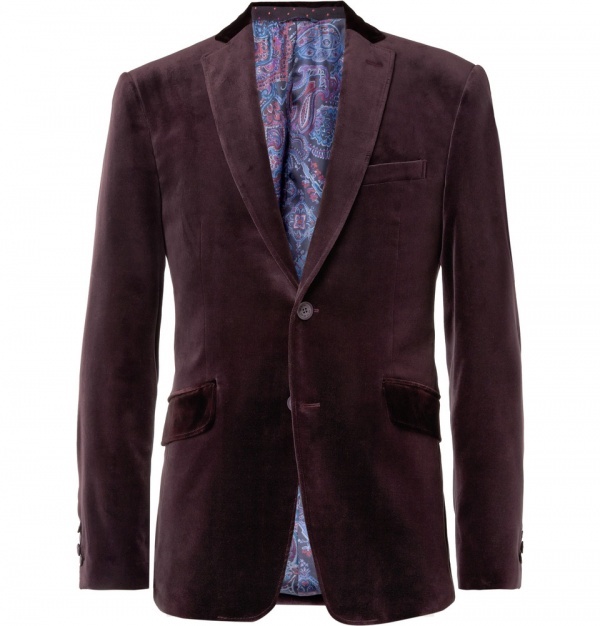 Designed to be worn with the matching trousers, it’s a thoroughly dapper shade of deep plum. Not for the faint of heart, this is a piece that requires a certain element of confidence to be properly represented. 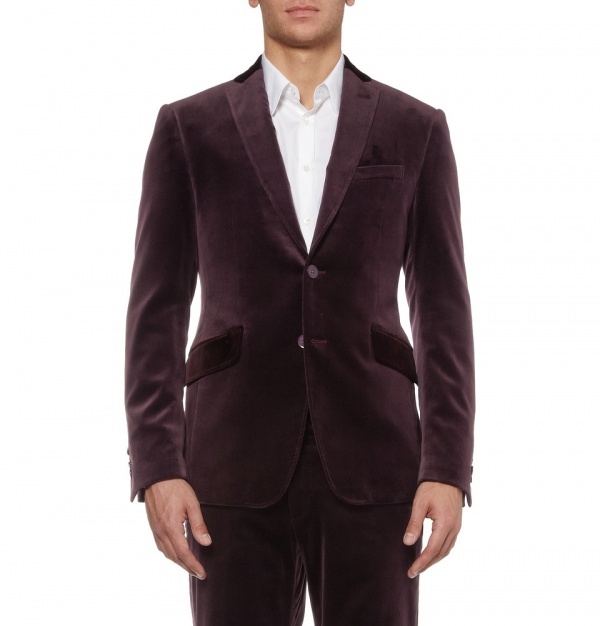 Made in Italy, you can pick one up now at Mr. Porter. This entry was posted in Outerwear, Tops and tagged Contrast Collar, Definitive Touch, Etro, Paisley, Velvet. Bookmark the permalink.